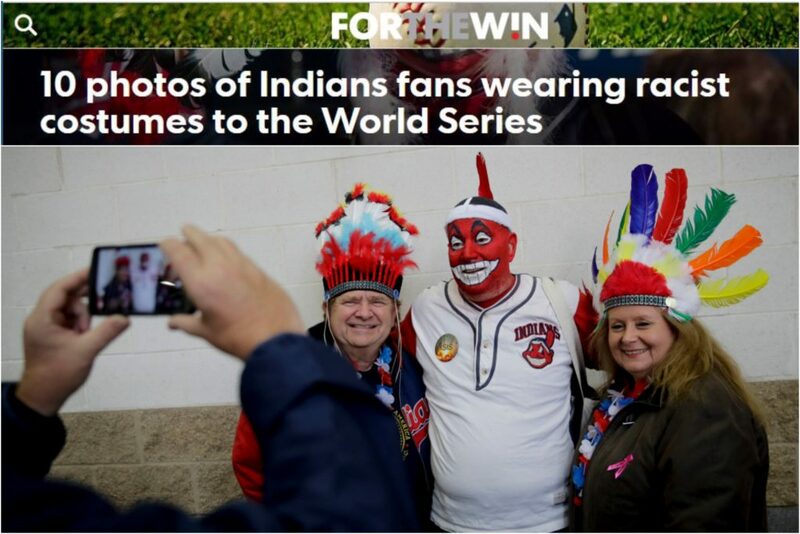 The management and staff of Conflict Kitchen recently submitted a letter to the Editor of the Pittsburgh Post-Gazette in response to an image featuring Cleveland Indians baseball fans in redface published on the front page of the paper. The full text of the letter and the referenced image is below. 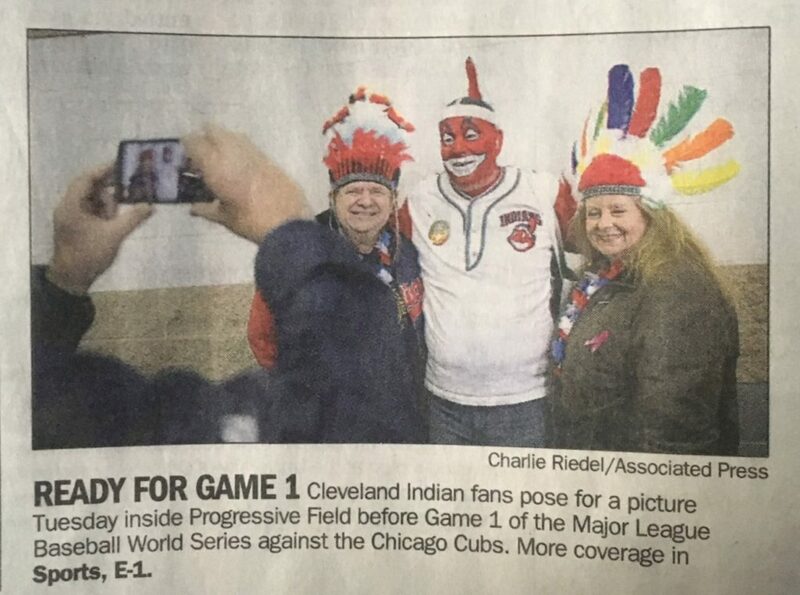 We believe, and apparently so does USA Today, that redface is minstrelsy — plain and simple. It contributes to the dehumanization and cultural erasure experienced by Indigenous communities throughout the U.S., at the profit of few and entertainment of many. We implore the Post-Gazette editorial staff to challenge this racist practice by printing a public apology for this egregious error in editorial judgement. Above: The image as it was printed and captioned on the front page of the late edition of the Pittsburgh Post-Gazette on Wednesday, October 28, 2016. Below: The image as it was printed and captioned in the online USA Today Sports feature on Tuesday, October 27, 2016.